Moves to develop indicators about school effectiveness and performance have been driven by national trends and debates about performance and accountability. Nationally set indicators – such as the standard assessment tasks, or the publication of performance in public examinations – have increasingly become part of the new education currency: a medium for exercising choice and decision-making in the new education market place. As contributors to this book suggest, such a framework is not unproblematic. Originally published in 1994, this book offers a number of insights into the general debate about performance indicators at the time. 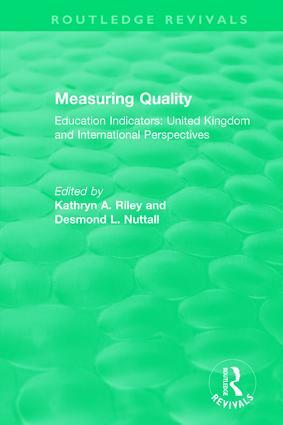 It explores the background to the debate; the differing perspectives of policy-makers and practitioners; and the purpose, audiences and values of education indicators, both in the UK and elsewhere. Performance Indicators: Flourish or Perish?